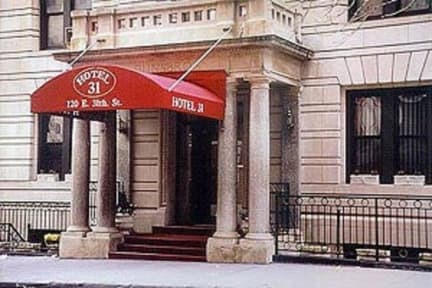 Hotel 31 i New York, USA: Reservér nu! Please note: The room for 4 people is not a room with 4 separate beds, it is a room with 2 double beds which sleeps 4 people. The newly renovated Hotel 31 is conveniently located in the heart of New York City on 31 Street between Lexington Ave and Park Ave. It features all the amenities that you would expect from a first class hotel, including private air conditioned rooms, a concierge 24 hours a day, daily maid service, cable TV, telephone and helpful multilingual staff. 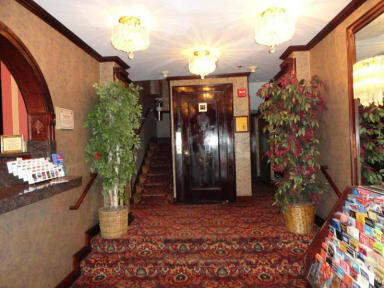 Hotel 31 is an affordable European style hotel, our central Manhattan location is near many major tourist attractions, we are within easy walking distance of the Empire State Building, Macy's district, Time Square, Madison Square Garden and the Broadway Theatre District.